This room has a luxurious feel to it. 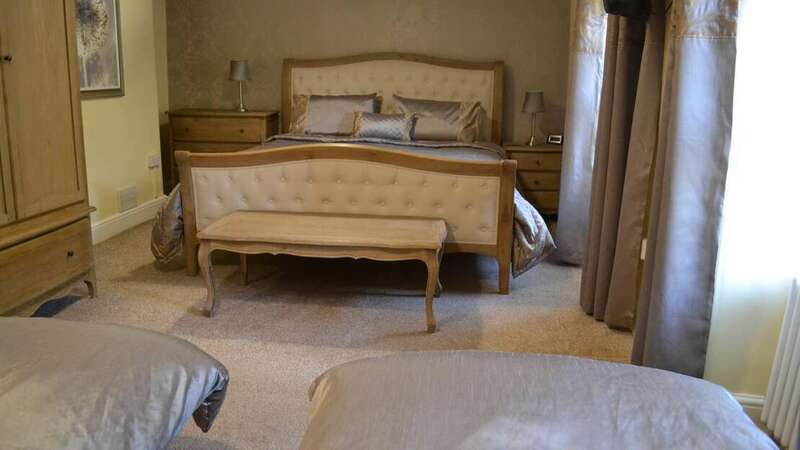 It has a super king sized bed and two sofa beds.The room has an en-suite with bath & shower, toiletries are supplied.The room is on the second floor and overlooks the garden. Facilities include an iron and ironing board, Tea/Coffee making facilities and squash for those who prefer a cold drink,hair dryer, TV with DVD player and a clock radio.